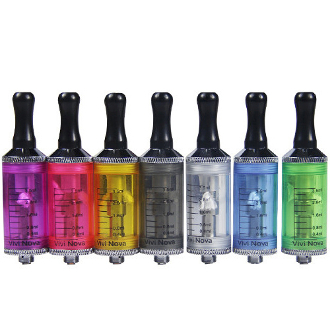 The 2.8ml ViVi Nova clearomizer has stood the test of time and remained a company favorite here at E Cigarette USA. This amazing clearomizer holds up to 2.8ml of liquid measured by a scale etched onto the side of the clearomizer. Although, we recommend filling it to 1.4ml to achieve optimum vapor production. The ViVi Nova is a rebuild able clearomizer allowing you to disassemble your clearomizer to clean it and change the coil inside.